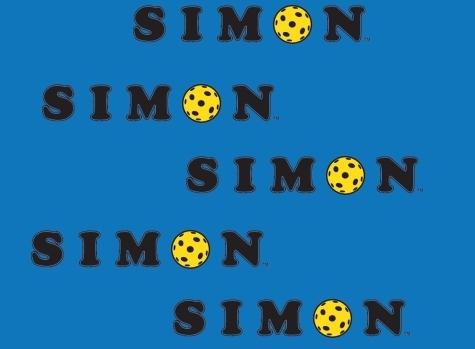 WHAT CAN YOU DO WITH SIMON? SIMON can feed balls up to speeds of 60 MPH using the fully adjustable speed dial. Great for Quick Hands Drill. SIMON can feed at your desired pace. Turbo carousel is fully adjustable up to a ball every 1.5 seconds. Super quick workout. SIMON holds a whopping 70 balls in his main chamber, but every SIMON comes with a FREE funnel attachment which holds an additional 90 balls, bringing SIMON's total ball capacity to 160 balls. You will be tired. SIMON is constructed in the USA and is MILITARY GRADE built of stainless steel and heavy duty aluminum. SIMON stands 30 inches tall, 13 inches deep and 13 inches wide. SIMON weighs in at 32 pounds and has a built-in ultra sturdy carrying handle. SIMON will arrive at your door in 10-14 business days after your order is placed and SHIPPING IS ABSOLUTELY FREE in the continental US. Pay Pal or any major credit card. I've been looking at ball machines for a few years. All the other ones I've seen were made for baseball and put way too much spin on the ball. The minute I saw Simon I knew it was different. I have not been disappointed. Simon is a great product. - Mark N.
I like the fact that is battery operated, portable, uses all shots, many balls and variable feed times. It is all I hoped it would be. - Jeff C.
Just letting you know we had 3 SIMONS operating continuously for 4 1/2 hours today during Paddle Day in Palm Creek. By our estimates, they delivered 12,000 balls in that time. This is going to make a lot of players happy. They have waited a long time for one that performs like SIMON. SIMON was quality tested using Dura Indoor and Outdoor balls and ONIX Pure 1 & 2 Indoor and Outdoor balls.. As much as we like Jugs indoor balls for play, they do have a seam and are a wee bit smaller, which may cause erratic feeds from SIMON. .
NEVER use SIMON in wet conditions or with wet pickleballs. Performance may be compromised when the feeding wheels get wet and you may cause harm to the internal mechanisms.